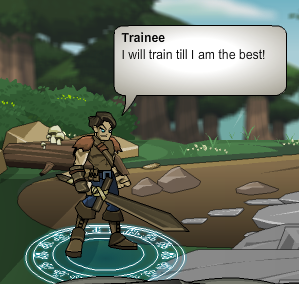 Trainee - "I will train till I am the best!" Trainee - "One day I'll earn the right to wield a real weapon!" Thanks to Energy Beam, Sasuke_kool1 and Vagaran.